With the holiday season in full swing, many of us are starting to prepare our home for entertaining and pull out our Christmas decorations. While most of us are familiar with the traditional Christmas tree decor, not all of us have traditional homes or styles. 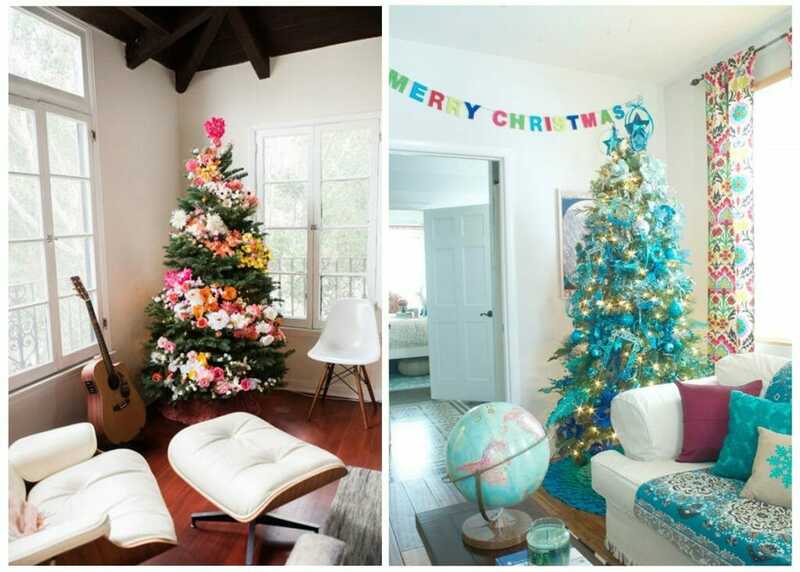 Below, we highlighted some of our favorite inspiring non-traditional ways to decorate the tree, that suit your personal decor style! 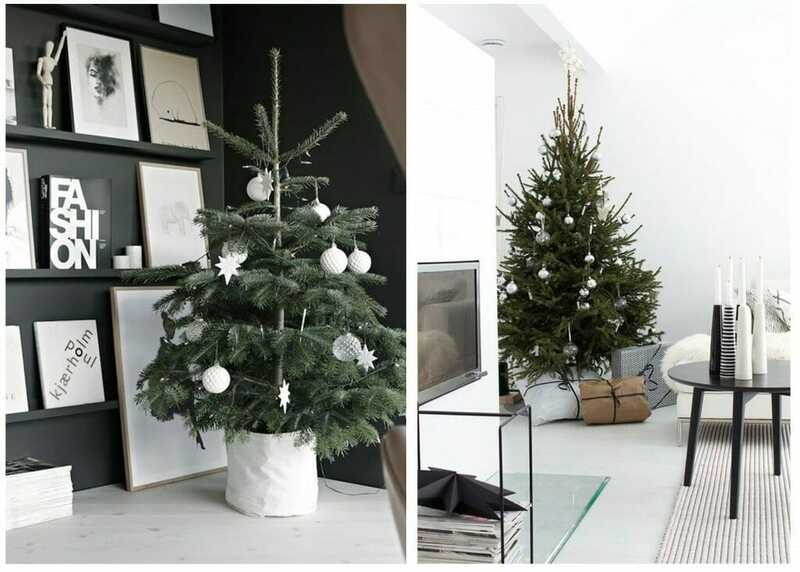 Be sure to also take advantage of Decorilla’s tips for decorating your Christmas tree! 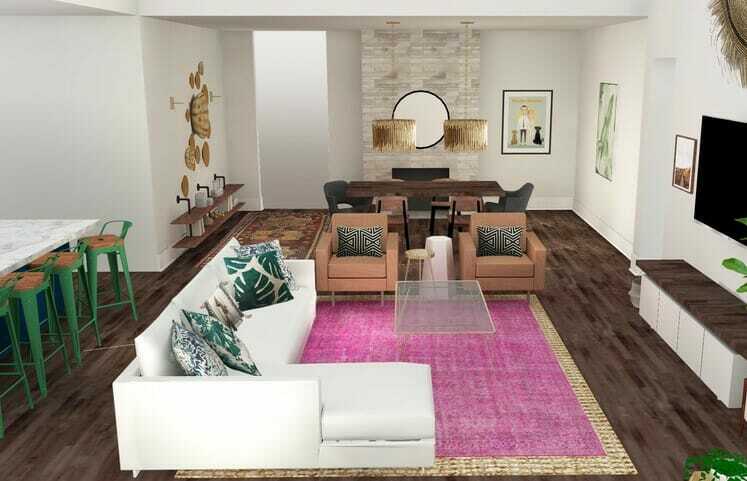 Design by Decorilla designer, Nadia G.
Modern style is clean and uncluttered, with nods to the mid-century. White, natural materials like wood and leather, and polished metal and plastic are prominent design features of Modern spaces, like this bright space designed by Decorilla designer Nadia G.
For a modern Christmas tree decor, simplicity is best. White and silver ornaments in basic shapes feel geometric, while having no lights or small white lights keep the design clean and minimal. By Decorilla Designer, Angela S.
Farmhouse design is extremely popular right now, and rustic decorations like reclaimed wood, natural jute, and vintage prints. This design by Eleni P is a bright, french country-inspired space. Rustic country Christmas tree decor can include pine cones, burlap ribbons, and other natural touches. 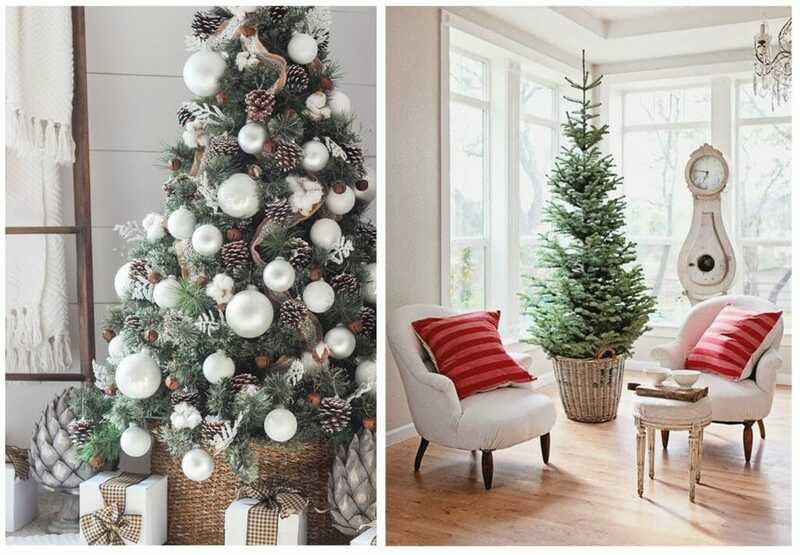 We also love the look of a simple un-decked tree in a wicker basket. Design by Decorilla online interior designer, Tabitha M.
Eclectic and bohemian style rooms tend to be brighter and bolder, with a mix of colorful patterns and a variety of materials and textures. 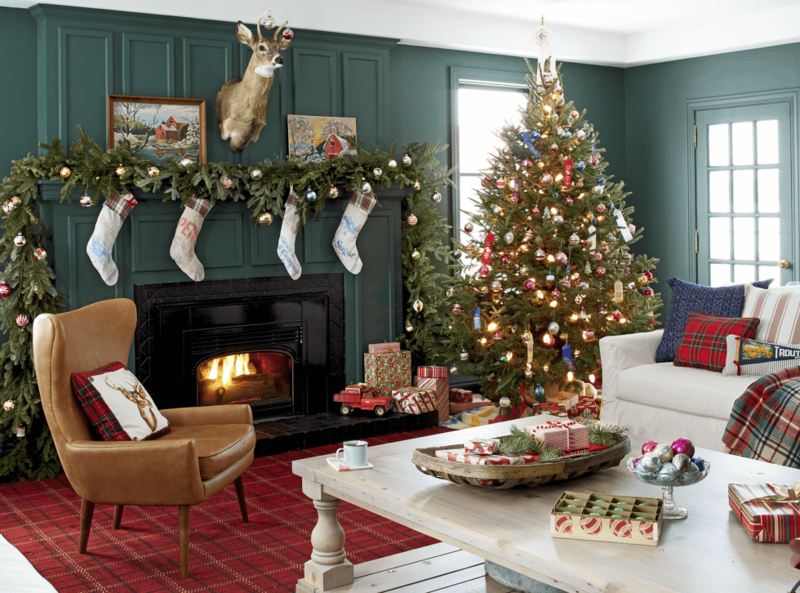 The look comes together to feel collected, casual, and fun, like this cheerful space designed by Tabitha M.
Decorating the tree can be really funky and fun when you play around with unconventional materials and colors. We love the idea of a bright flower garland for a bohemian look. You could also pick a color theme and create an ombre look with your ornaments. By Decorilla Designer, Michelle B. 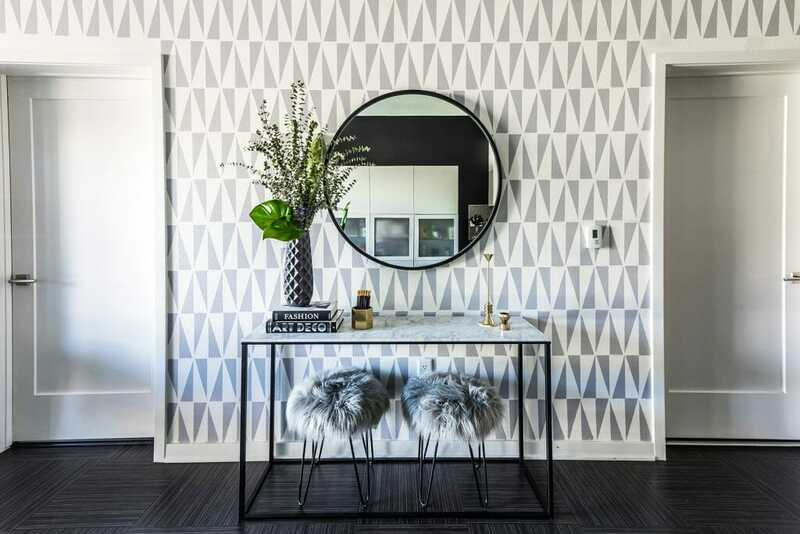 Glamorous design is characterized by boldness, with some combination of a high-contrast palette, shiny gold and silver, chandeliers and glass, dramatic silhouettes, and luxe fabrics. This look from Marthe L. isn’t lacking drama and glam! When decking your glam Christmas tree, there’s no need to skimp on glitz. 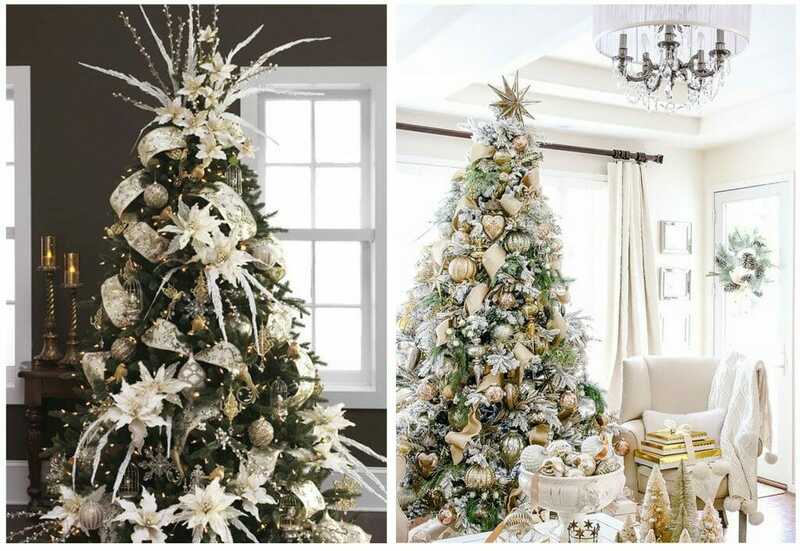 These trees are donned in layers of gold ornaments, garlands, and lights to create an abundance of sparkle. Coastal style is influenced the the coastline, with a palette of light neutrals, natural woods and fibers, and pops of blue. This aesthetic isn’t just for beach homes; any space can have an airy, beachy vibe. Even if you don’t live at the beach, you can infuse your design with blues and a coastal vibe. 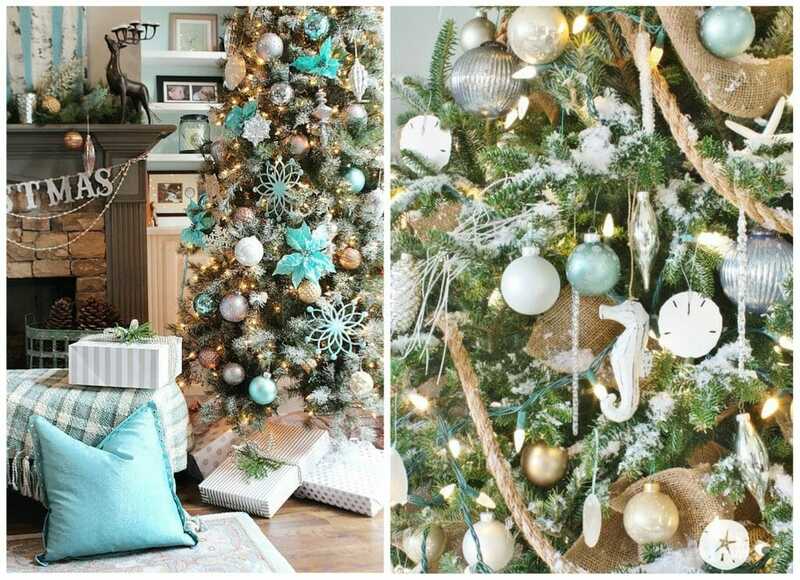 Sandy-colored ornaments mixed with pops of blue from your room decor are a great way to cultivate a beachy but wintry look. If you love the ocean, you can incorporate sea glass, seahorses, sand dollars, or starfish into your ornament collection. The holidays are a special time of year filled with family, gratitude, and beautiful seasonal decor. 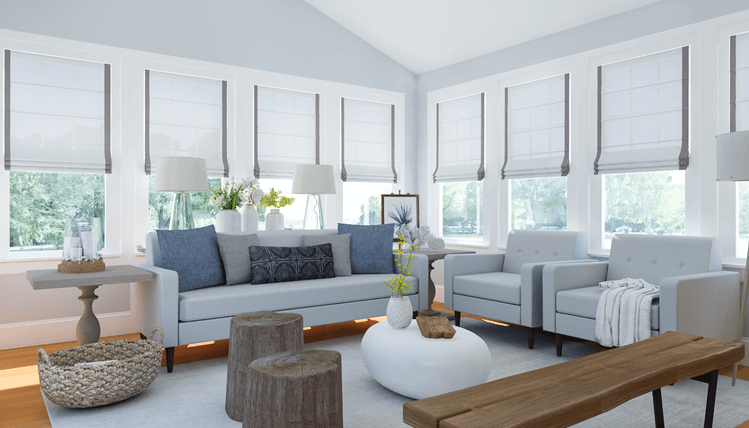 Looking to refresh your space before hosting friends and family, or have a new year’s resolution to re-design a room in your home? 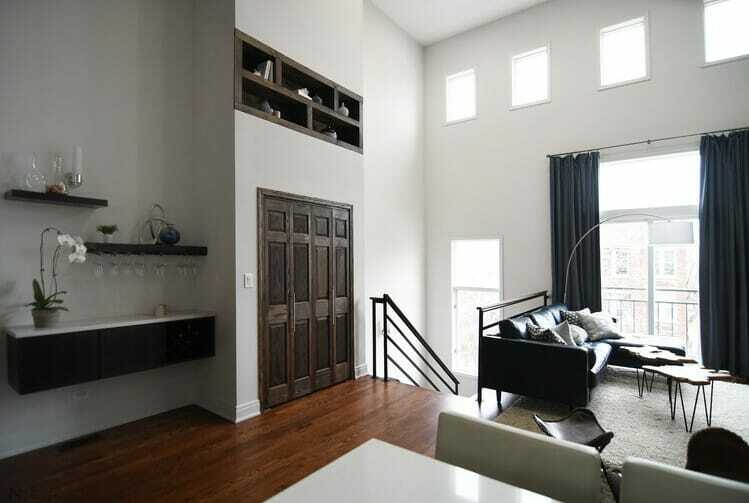 Start a project with one of our Decorilla online interior designers today!